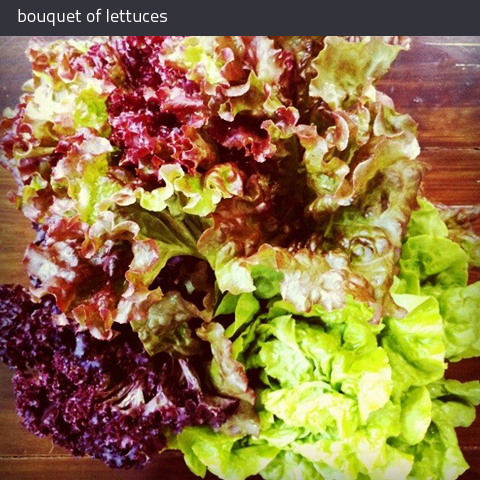 …when an arrangement of lettuces is just as fetching? these are from the farmer’s market that’s held behind east hampton town’s american legion hall. they were picked this morning, and made a fantastic base for my lunch salad.